The Salisbury Hotel welcomes you to experience a home away from home in the center of New York City. Our hotel is conveniently located across from Carnegie Hall within walking distance of the well renowned Fifth Avenue shops and steps away from Central Park. Other attractions nearby include the Lincoln Center Radio City Music Hall Museum of Modern Art and Broadway Theatres. A popular choice for business travelers Salisbury Hotel is located in the heart of corporate midtown. Originally designed as a suite hotel our comfortable and spacious rooms are offered in king or two double-beds in the standard rooms. The standard-sized rooms and one bedroom suites surpass the typical size of New York City hotel rooms. Our friendly and accommodating staff is dedicated to satisfying your hotel needs. Whether you are visiting for business or leisure the Salisbury Hotel offers a pleasurable and affordable stay in the best location of Midtown Manhattan. 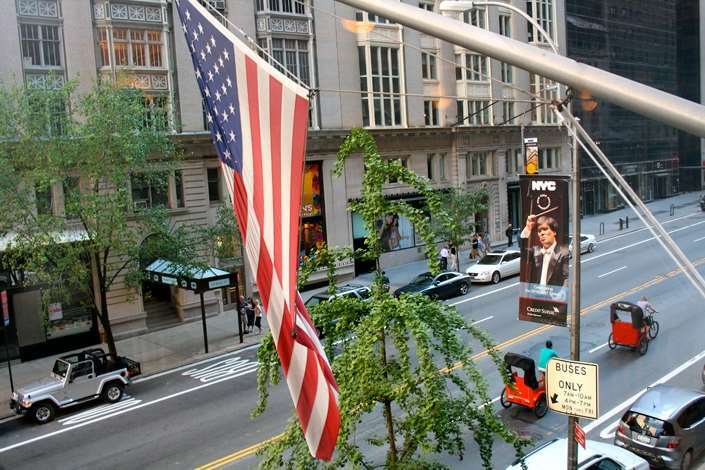 Our hotel is conveniently located across from Carnegie Hall within walking distance of the well renowned Fifth Avenue shops and steps away from Central Park. Other attractions nearby include the Lincoln Center Radio City Music Hall Museum of Modern Art and Broadway Theatres. Reservations must be modified or cancelled 48 hours prior to the arrival date by 2.00PM. Exceptions may apply - please see rate rules. Family friendly pizzeria serving thin-crust pies alongside calzones pastas and salads.